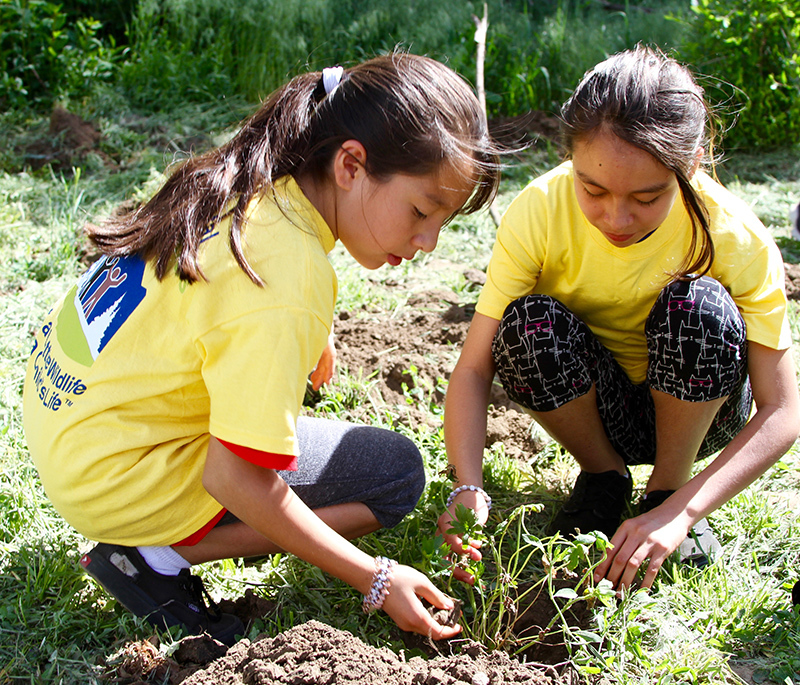 Working with Denver nonprofit Environmental Learning for Kids (ELK), we are transforming 5 acres in the city's Montbello neighborhood into a restored natural area with native gardens, educational kiosks, walking trails, and interactive nature play spaces. Part of ELK's mission is to provide science and outdoor programs to youth who have been overlooked and under-encouraged in science and science-related careers. The Trust for Public Land helped purchase the property in 2011 and has been working with ELK to restore the short-grass prairie and establish the neighborhood's first open space park: Montbello Open Space. This project will bring much needed open space to far northeast Denver and provide opportunities for healthy and active recreation. This area will also house ELK's nature education center. We transferred the land to the City of Denver in December 2014 who extended a 50-year lease to ELK. In May 2016, we celebrated the groundbreaking of the park site. The ELK Education Center and Montbello Open Space will serve more than 42,000 youth and families annually in the Denver area. Please help build Denver's first nature education park. Kid at the park—or future field biologist?